Zoiks! Online - The Very Best in Stand-Up And Music! : Album Review: @EdwardSharpe & The Magnetic Zeros’ ‘Self-Titled’ Album Will Make Charles Manson A Follower. Album Review: @EdwardSharpe & The Magnetic Zeros’ ‘Self-Titled’ Album Will Make Charles Manson A Follower. Edward Sharpe & The Magnetic Zeros are something of an enigma in this pop and rock fused society. The 10+ piece orchestra - started by Sharpe’s alter ego, Alex Ebert, and later joined by Jade Castrinos - portrays a hippie-like, folk rock and gospel sound that would make Charles Manson become a follower. Of course, sometimes the messages get lost in the delivery, with many instruments lending to the imagery implanted by the music itself. Edward Sharpe & The Magnetic Zeros’ sound often makes you want to get up and dance, close your eyes and just listen, or join the band personally, which is probably how the band ended up with a dozen or so people in the first place. 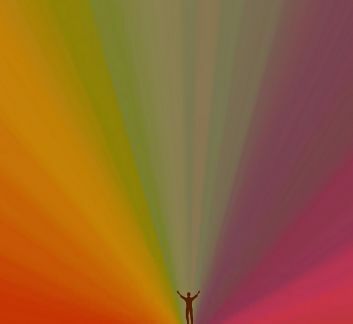 Edward Sharpe & The Magnetic Zeros’ self-titled album is now out. This is the follow up to the 2012 album, “Here,” which debuted at #5 on the Billboard 200.